Son Of House Judiciary Chair Is "Embarrassed" That His Father's "Grandstanding" Got FBI's Peter Strzok Fired - Joe.My.God. Does this qualify as more infighting? Bobby Goodlatte, the son of House Judiciary Committee Chairman Bob Goodlatte (R-Va.), said on Monday he is “embarrassed” that his father’s “political grandstanding” cost FBI agent Peter Strzok his job. Earlier Monday, it was announced that Strzok was fired on Friday after sending disparaging text messages about President Trump during the 2016 election. Strzok, a frequent target of GOP critics of special counsel Robert Mueller’s investigation, clashed with the elder Goodlatte during a hearing on Capitol Hill last month. 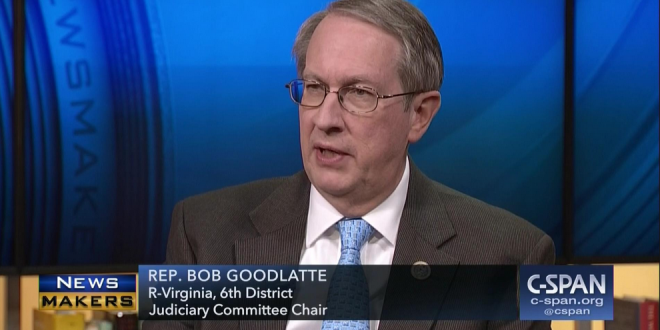 The elder Goodlatte is retiring at the end of this term.